A wide network of bike trails crosses the high hills landscape in the surrounding of the episcopal city of Bressanone. The offer goes from easy bike trails in the valley up to heavy mountain-bike trails at a high altitude. From spring to autumn you can explore the mountain world of the Isarco Valley by bike and the Gasserhof Hotel as a Bike Hotel in South Tyrol stays at your disposal as an excellent starting point for your trips. Directly at door’s step you can start for adventurous bike tours in the mountain. The structure lays at an altitude of 950 metres a.s.l. in the town of St. Andrä, only seven kilometres far away from the episcopal city of Bressanone. The tours bring you under the shady leaves roof of the chestnut trees and through the blossoming orchards and vineyards. After your bike tours you can comfortably and freely leave your bike in the bicycle box of the Gasserhof Hotel. The South Tyrolean Isarco Valley is perfect for variegated bike holidays with the family. The episcopal city of Bressanone is the central starting point to explore track by track South Tyrol by bike. So you can reach the Wipptal, the Pusteria Valley or also the South Tyrolean hinterland. You can relax biking along the asphalted bike trail along the Isarco river. This track has got only a few uphill streches and is excellent for a family trip. The bike trail Bressanone-Chiusa, which connects the episcopal city with the small artistic town, passes along romantic orchards. You will take around an hour for this track during your bike holiday and in the end you can enjoy a refreshing bath in the outdoors swimming pool in Chiusa. 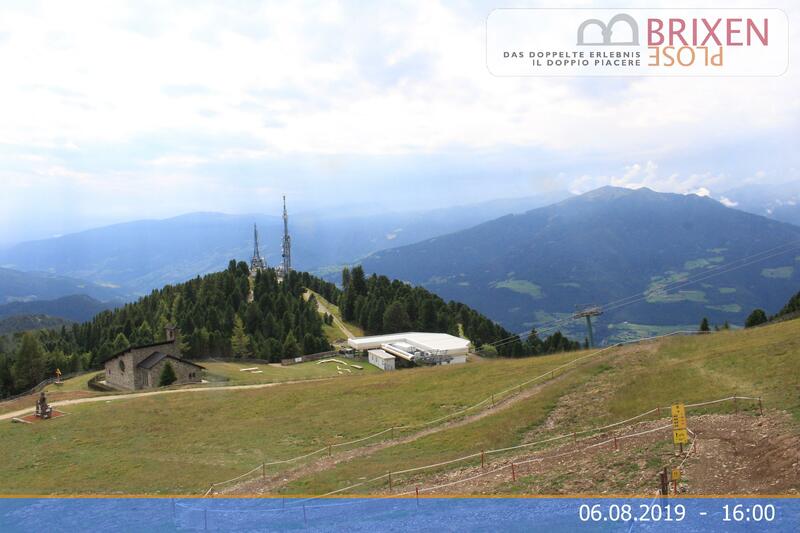 In the mountain landscape of the Bressanone house mountain Plose a variety of mountain-bike trails, such as the Plose Single Trail, with a difference in altitude of 1000 metres, wait for you. You can comfortably reach the alpine high area with the modern orbit, whose valley station is close to the Gasserhof Hotel, here you can transport also your bike for free as guest of our hotel. Moreover at the valley station you will find also a bike rent. The Gasserhof Hotel is a Bike Hotel in South Tyrol which represents the optimal starting point for a mountain-bike tour in the region. On the Bressanone house moutain every year the longest and steepest downhill competition in South Tyrol takes place and during your bike holidays in the Isarco Valley you can follow the specialists of this sport activity, going down along some of these tracks by your own mountain-bike. From the Plose you can easily change to further mountain-bike regions around Funes and Luson.